Our teenage daughters have grown up with a fascination of “old-timey” things, and there’s so many ways to explore history in the Rochester area. I wanted to get my teens moving, and created a roundup of living history attractions focused on planes, trains, and canal boats around Rochester. These are all places you can get up close, interact, and even take a ride into the past. Join us on an itinerary designed for families with teens looking to discover history in the Rochester area. 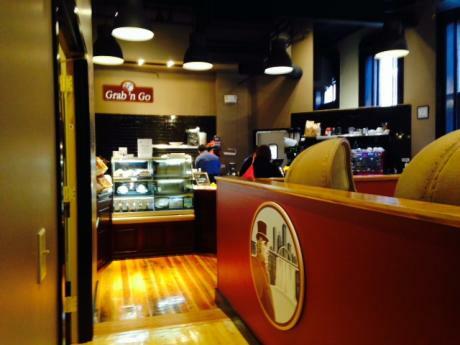 Grab a coffee and breakfast sandwich downtown at Founder&apos;s Cafe in the historic Academy Building surrounded by paintings of famous people from Rochester’s past. Now that you’re in an historical frame of mind head to your first stop on this historic transportation trail. Approximately 30 minutes south of Rochester in the village of Geneseo is the National Warplane Museum. 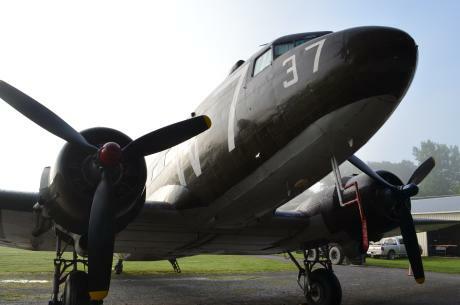 Here you can find a number of vintage aircraft including the pride of the fleet the C-47 transport “Whiskey 7” that delivered troops to Normandy during World War II’s D-Day. Families can touch these artifacts of living history, climb inside, and get a sense of what it was like for our troops flying into battle. Airplane rides are available for an additional fee. 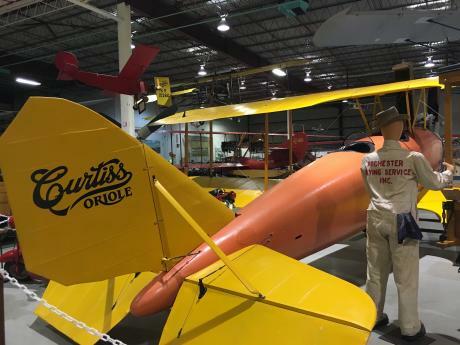 Also in the Finger Lakes is the Glenn H. Curtiss Museum in Hammondsport, NY at the base of Keuka Lake. Curtiss was a contemporary of the Wright Brothers and a true aviation pioneer. While the Wright Bros. were first in flight sailing 852 feet in December 1903, Curtiss was the first to fly over a kilometer in his “June Bug” airplane in 1908. You can see a replica of the 1908 “June Bug” at the museum along with 20 other historic aircraft designed by Glenn Curtiss. There’s something about a train that can even bring indifferent teens back to their childhood days. The Rochester & Genesee Valley Railroad Museum has a large collection of historic train cars, and there are a number of days throughout the year you can ride the rails. Teens can embrace their inner wizard and pretend they’re traveling to Hogwarts during a trip on one of the authentic steam train. 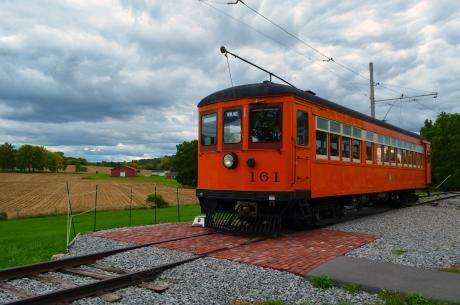 The New York Museum of Transportation has all sorts of trains, cars, trucks, and more, but the highlight is the electric trolley that takes families for rides into the countryside. You can’t talk about historic transportation in Rochester and not mention the Erie Canal. Think your teens are too cool to get caught singing on a canal boat? Think again. 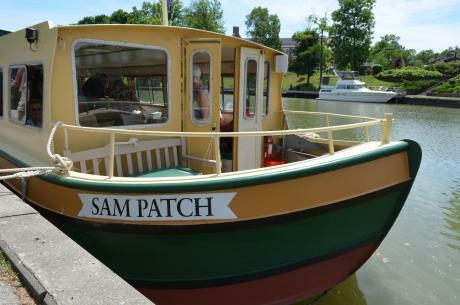 They can’t help but sing when they’re on the Sam Patch packet boat cruising down the Erie Canal. It was 200 years ago when they first broke ground to dig a ditch across New York State, and the canal’s still relevant today. Hundreds of spectators recently lined the banks of the canal to watch the Genesee Brewery tanks float down towards Rochester. Taking a canal tour on the Sam Patch, teens will have a newfound appreciation of going through a lock and experiencing how these water elevators really work. If your teens are like mine, they’ve worked up an appetite shuffling their feet through these historic sites. 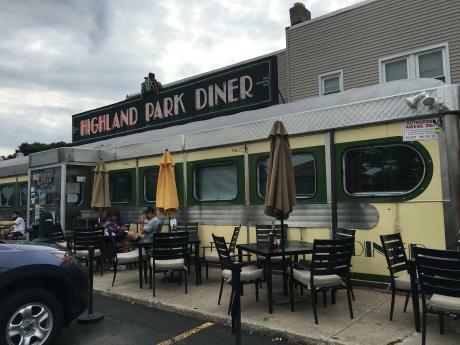 Last stop, treat them to dinner and dessert at the Highland Park Diner, an authentic 1940’s era streamlined boxcar diner. Our family loves the Highland Park Diner, and our 16-year-old even asked to have her last birthday dinner there. The menu is typical diner-fare breakfast, brunch, burgers, melts, and more, but be sure to save room for dessert – either a classic slice of pie or one of dozens of specialty milkshakes.